Over the past 25 years, SMS text messaging has become the most personal and ubiquitous form of communication in the digital era. In fact, it hasn’t simply held its ground, it’s actually gained momentum -- with global consumers preferring to communicate with businesses through this intuitive channel. 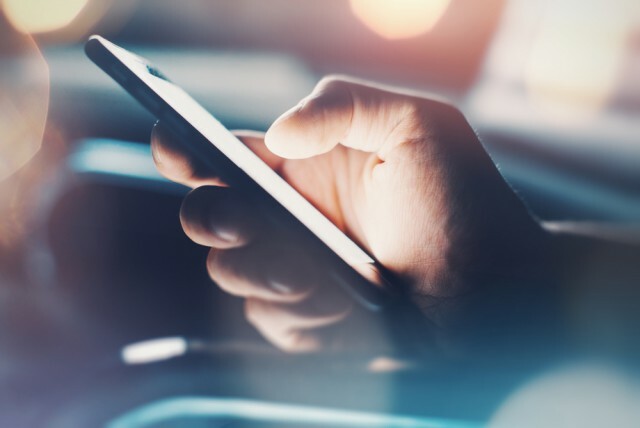 As technology continues to bolster SMS capabilities, a new form of mobile messaging known as Rich Communications Services (RCS) is making waves in the mobile revolution. Leading the charge, OpenMarket has joined forces with Google to help businesses realize the full capabilities of RCS messaging for customer engagement. We caught up with its senior market development manager Oisin Lunny, to learn about the company’s recent partnership with Google and details on what’s fast becoming the next generation of A2P (application to person) texting -- RCS. OL: RCS, or as I like to call it -- texting 2.0, is widely described as an update to the standard method of SMS or MMS text messaging, as it brings consumers an enhanced mobile messaging experience. This next generation of mobile interaction leverages SMS technology, evolving as a means to challenge the traditional channels of communication, such as email for marketing and voice calls for customer service. RCS introduces new and improved instant messaging, group chat capabilities, video and image sharing across mobile devices, regardless of network. ITPP: What are the capabilities of RCS? OL: Essentially, standard text messaging is the foundation of RCS. While RCS messaging maintains the universal, communicative nature of the SMS message, it builds off its functionality and includes enhanced capabilities as read receipts and typing indicators -- as well as the ones I previously mentioned like video content and high resolution image sharing. ITPP: What perks does it bring to standard text messaging? OL: Rather than toggling between apps and websites to access content, RCS has the added benefit of delivering a streamlined experience to consumers. Businesses and consumers who utilize RCS messaging will receive a single message containing all the information they need, and better yet -- find most important. Eventually it will support intuitive touch screen-enabled buttons for easier interactions rather than having to text keywords along with location-based services. ITPP: How is RCS building-off of SMS in the enterprise? OL: Not only does RCS benefit a person-to-person (P2P) interaction compared with an SMS text message, but this new mobile experience is improving the way businesses communicate with their consumers, and vice-versa. Millions of brands, businesses and organizations communicate via text messaging with their customers, whether it’s a delivery notification or an appointment reminder confirmation, thanks to SMS’s simple and effective means of reaching billions of customers globally. What RCS brings to the table in this case is intuitive app-like interactivity within the native messaging channel on a smartphone, and a highly personalized experience between the business and the consumer. Companies can share their brand name in the message originator for better authenticity as well as provide images, videos, maps, boarding passes, travel updates and more to directly connect with their customer. These enhanced elements save the business and the consumer time and money as interactions over RCS, like SMS, are direct, efficient, and personal. ITPP: How will RCS messaging change the way businesses communicate with their consumers? OL: RCS will change the way businesses communicate with their customers by providing them with an interactive platform previously only available for brands to reach their customers through via the mobile app. With the age of the mobile app coming rapidly to an end (on average consumers download zero apps per month), businesses have been in dire need for an alternate engagement tool -- enter RCS. ITPP: How does OpenMarket plan to utilize RCS with its customers? OL: OpenMarket works with enterprises across many different vertical markets, but for one specific example, let’s look at the hospitality industry. By offering RCS to our customers in this space, we plan to improve their brand loyalty and overall customer experience and NPS ratings by allowing businesses such as hotels the capability to offer guests a full check-in experience. Think automatic reservation confirmation in the palm of their hand, access to room number, front desk line, and Wi-Fi passcode, along with visual weather updates in the hotel’s area, maps to nearby tourist destinations, and popular neighboring restaurants’ dining menus, all right there in these enhanced text messages. ITPP: What is Google’s Early Access Program? OL: OpenMarket recently helped debut Google’s Early Access Program at Mobile World Congress using our customer, Virgin Trains. The program essentially creates an avenue for select businesses to become early adopters of RCS technology. Chosen businesses will not only get to test drive the enhanced messaging channel, but also help define it as they learn and build with it. Through OpenMarket participation, many of our global enterprise clients such as Virgin Trains, FICO, SKY, and Philips are early adopters of the possibilities of RCS. ITPP: What does this partnership with Google mean for companies like OpenMarket? OL: For OpenMarket, partnering with Google on this innovative project means continuing to be a leader in the mobile messaging space, by providing innovative communication technology to Google’s Early Access Program adopters. We are putting a stake in the ground as pioneers of RCS, together with and on behalf of our enterprise customers. Alongside Google and global organizations like the GSMA, we can help global brands realize the full capabilities of rich messaging.